GetDivorcePapers.com provides professionally completed, 100% court-approval, money-back guaranteed North Carolina divorce forms. Just create an account, complete the interview, and file for divorce. Our case managers do all the work for you, and send the completed North Carolina divorce forms when they are ready to be filed. 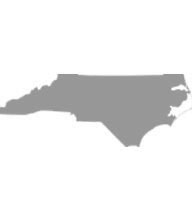 In order to file a case in North Carolina either of spouses is required to be the resident of this state for at least 180 days prior to filing the case. Further, papers are required to be submitted in county of either of spouses' residences. North Carolina caters the basis of both categories for the divorces. All that the spouses have to do is to agree with the reasons mentioned as well as substantiate them. Separation for a whole year prior to filing of the case. Insanity found in either of spouses for three years. Mental illness diagnosed in any of two spouses. Courts in North Carolina have the right to grant the child custody to either sole parent or both based upon the best nurture of the child. In this regard, no reason for the divorce is brought into considerations. Further, statute of North Carolina has not mentioned any specific factor for the decision of child custody. North Carolina is an "equitable distribution" state which allows the spouses to hold their separate properties with them. These separate properties include any property acquired before the marriage, properties acquired even after the marriage but in exchange of separate property, gifts, and inheritances. However, marital property is distributed between the two spouses on the basis of following circumstances. Role of one either of spouses in career development and education of other spouse. Worth and liquidity of property. Economic stability of each spouse as well as his or her role in acquisition of the marriage property. Health conditions and age of spouses. Debt liabilities on the spouses. Income of the spouses as well as tax liability on each spouse after the distribution of property. Spouse having the child custody. Financial standings of the spouses as well as their income. Health conditions of the spouses. Contribution made by one spouse in marriage property, education and employment of other spouse. Spouse having the primary custody of child. Time required by either of the spouse for the necessary education for the employment. Court may order the security of the bond for the payment of alimony as well. Courts in North Carolina can ask the parents to pay for the child support. Following points are raised while taking this decision. All sorts of needs of the child. Capability in parents to pay for child support. Assets held by the child. Grandparents may pay for the child support if any of the responsible parents is unable for the payment of maintenance. Moreover, this support is made through the clerk of the court. State can also get an undersigned bond or security to make sure the child support payments. Court can ask for the mandatory mediation to both of the parents if the child custody becomes an issue. There is no need of a lawyer when applying for divorce in the state of North Carolina. A divorce case which is filed without any help of an attorney in any of the states is known as Pro Se Divorce. Literally, Pro Se is a Latin phrase and it means "on her or his own". Process of getting the divorce without the help of lawyer may vary from one State to another. These types of divorces are perfectly legal and enforceable in North Carolina, and are actually very convenient. Usually, once settlements have been made regarding property distribution and custody matters among the spouses in case of a mutual divorce, Pro Se Divorces are filed.